growth and development, and a brilliant and substantial future. 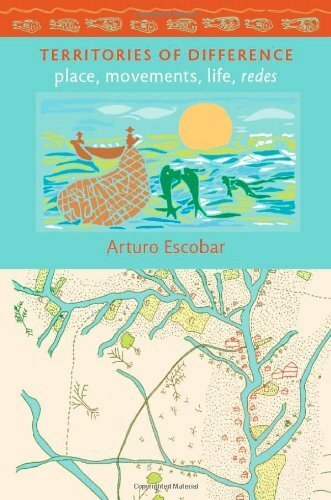 In Territories of Difference, Arturo Escobar, author of the widely debated book Encountering Development, analyzes the politics of difference enacted by specific place-based ethnic and environmental movements in the context of neoliberal globalization. His analysis is based on his many years of engagement with a group of Afro-Colombian activists of Colombia's Pacific rainforest region, the Proceso de Comunidades Negras (PCN). Escobar offers a detailed ethnographic account of PCN's visions, strategies, and practices, and he chronicles and analyzes the movement's struggles for autonomy, territory, justice, and cultural recognition. Yet he also does much more. 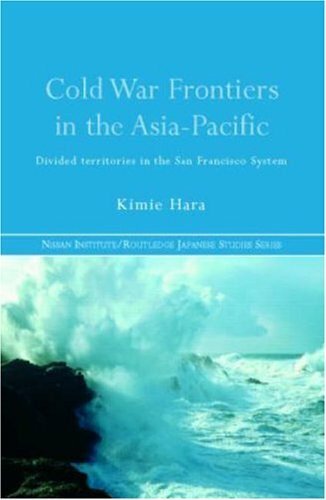 Consistently emphasizing the value of local activist knowledge for both understanding and social action and drawing on multiple strands of critical scholarship, Escobar proposes new ways for scholars and activists to examine and apprehend the momentous, complex processes engulfing regions such as the Colombian Pacific today. 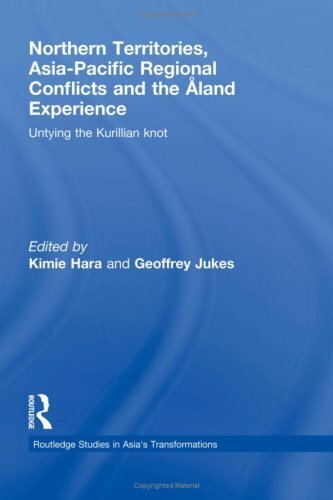 This is a complex book and takes on the intersection of development conservation history, social movements and political narrative in oneof the most difficult places to work, Colombia. It is one of those books that really rewards a careful reading and re-reading. But most importantly it illuminates a huge dynamic of development that is rooted in social movements that is having extraordinary impact in Latin America, and integrates it with globalization andthe politics of nature. Its very clearly written but the topic isdemanding. Students can really see what political ecology is about in this amazing volume. If you want to understand how the tropical future will work, this is the book to read. "a literary journey . . . with life-affirming energy"
Skipit unless you really love the red desert or want to go there. The Red Desert of Wyoming is a very interesting place, it's beautiful as all high desert is, but let's face it, if it was THAT beautiful it would have been a National Park or Monument long ago. the current Eco Push to make it one of these is unjustified, and is a Green PC attempt to stop ranching and mining in the region. I bought this book because the author is an old hand born in the area and I wanted to know what someone pushing a century thought about his old home grounds then and now. If I wasn't already a landowner in the region and a red desert rat to begin with I probably would not want to go there by reading this, there is too much regurgitating of road signs and landmark plaques, and far too much info on mining...I learned more about mining from reading this than I ever would want to know. the barbed wire of the author's day stopped the free movement over the red desert, and now his freedom is stopped by the new barbed wire...Masterlock and Posted Signs. 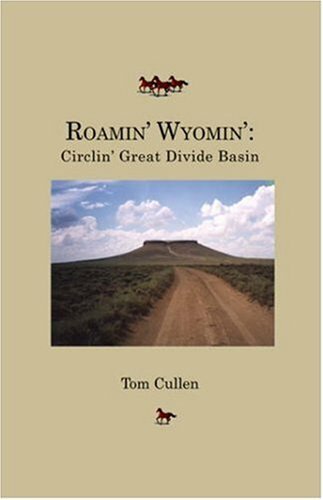 A good one to read through and carry if passing that way as it gives turn by turn directions and exits to get on and off at, places to eat and routes, people to look up and guides or locals who can share their knowledge with you in exploring the area. In 1896, a small group of prospectors discovered a stunningly rich pocket of gold at the confluence of the Klondike and Yukon rivers, and in the following two years thousands of individuals traveled to the area, hoping to find wealth in a rugged and challenging setting. Ever since that time, the Klondike Gold Rush--especially as portrayed in photographs of long lines of gold seekers marching up Chilkoot Pass--has had a hold on the popular imagination. 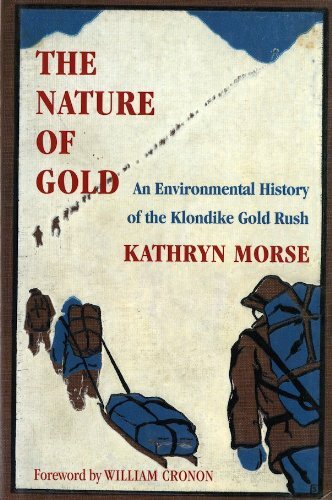 In this first environmental history of the gold rush, Kathryn Morse describes how the miners got to the Klondike, the mining technologies they employed, and the complex networks by which they obtained food, clothing, and tools. She looks at the political and economic debates surrounding the valuation of gold and the emerging industrial economy that exploited its extraction in Alaska, and explores the ways in which a web of connections among America’s transportation, supply, and marketing industries linked miners to other industrial and agricultural laborers across the country. The profound economic and cultural transformations that supported the Alaska-Yukon gold rush ultimately reverberate to modern times. The story Morse tells is often narrated through the diaries and letters of the miners themselves. The daunting challenges of traveling, working, and surviving in the raw wilderness are illustrated not only by the miners’ compelling accounts but by newspaper reports and advertisements. Seattle played a key role as "gateway to the Klondike." A public relations campaign lured potential miners to the West and local businesses seized the opportunity to make large profits while thousands of gold seekers streamed through Seattle. The drama of the miners’ journeys north, their trials along the gold creeks, and their encounters with an extreme climate will appeal not only to scholars of the western environment and of late-19th-century industrialism, but to readers interested in reliving the vivid adventure of the West’s last great gold rush. "a three-pound bolus of honest chow...."
"To a mammoth bowl of Zatarain's New Orleans Style Red Beans and Rice I add a couple of juicy moose links, nicely blackened over the fire, then cut up and mixed into the pot.For several days my dinners will center on sausage.This is partly due to the obvious ascendency of this food, but also because, without refriegeration, one eats the fresh meat first until it is gone.For dessert, boiled coffee and a couple trick-or-treat sized chocolate bars ...........As I duck into the dry, snug tent, I find that tonight I feel sorry for all the salad people.It doesn't seem fair.Me with a three-pound bolus of honest chow radiating well-being within me. They, making do with a meal of leaves.We must do something nice for the salad people, I resolve, next chance we get." Huh? "3 pounds of beans, rice, and moose sausage"? "salad people"?I'm betting that more than 'well-being' was radiating from him before the night was over.Good luck with that colon!Yikes. A land gone lonesome the title was what attracted my attention in the first place. I also saw a review of the book on tv on the Alaska channel. The Yukon River, 2300 miles long, was the last major river system in North America to be discovered, explored, and settled by non-Natives.Yet around 1900, there were tens of thousands of "outsiders" living and traveling along its course and in its basin, the vast majority attracted there by the lure of gold.Even after the ore played out, the Yukon River continued to attract settlers, trappers, fishermen, and others as a sort of last frontier.Within Alaska, that all changed around 1980 with the creation of the Yukon-Charley Rivers National Preserve, and the attendant transfer of administrative responsibility to the National Park Service.Contrary to rather clear legislative intent, the Park Service has managed the Preserve so as to evict virtually all residents from the Preserve, such that, in the words of Dan O'Neill's book title, the Yukon is now "a land gone lonesome." I bought A LAND GONE LONESOME in large part based on a back cover blurb likening it to John Graves's "Goodbye to a River" and John McPhee's "Coming into the Country. "I was misled.The book is centered around a trip by the author down the Yukon in a 19-foot canoe with outboard motor from Dawson, Yukon Territory, to Circle City, Alaska, through the Yukon-Charley Rivers National Preserve.The book begins promisingly enough, with some entertaining tales of sourdoughs from the gold-rush era and assorted contemporary crackpots and characters.But once O'Neill reaches Alaska, the book morphs into a kind of screed against Park Service policies in the Preserve, and never really emerges.To the extent there remains any aspect of a travelogue, it consists principally of a series of river cabins (dozens of them) in various stages of ruin and decay.There is plenty of local history, but it is provincial in the extreme, such that I was put in mind of the "Images of America" series of books, albeit without photographs.O'Neill's writing is decent, and sometimes witty, but for someone who does not already have an abiding and fervid interest in the Yukon River, A LAND GONE LONESOME is somewhat of an ordeal to traverse.It certainly is inferior to the cited works of both Graves and McPhee. 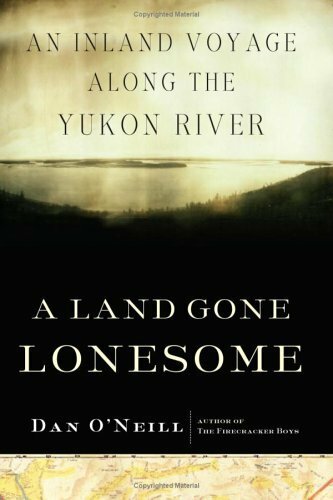 In A Land Gone Lonesome Dan O'Neill floats the Yukon River area visited by John McPhee over 30 years earlier. The differences over time are striking as are the differences in the authors. While McPhee was a perceptive visitor spinning a great tale, O'Neill is a long time resident, and his narration reveals a deep love of the landcoupled with a keen eye towards historical perspective. He discusses in detail the effects of the National Park Service's administration,or perhaps mis-administration.If you liked McPhee, you'll love O'Neill. O'Neill has a comfortable free-flowing style appropriate for a tale about Alaska's greatest river. If you are into rural lifestyles, Alaska history, the Yukon River, or Alaska wilderness - this is a must read. 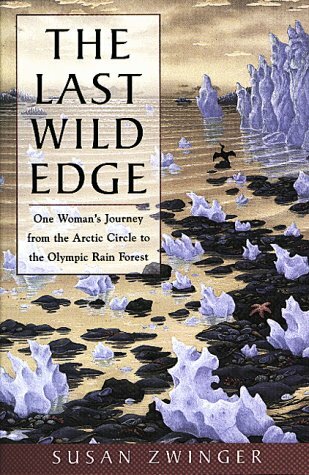 This book is so visual.My OH my...reading this book, with my Alaska ATLAS in hand, I was transported to the Yukon - Charley region almost as if I were there!!!!!!!!! The essential Oregon guide for time travelers of all ages. Perfect book to commemorate our 150th! I bought this book for my mom, an avid history buff, but it was thoroughly enjoyed by the entire family.Even my young nephews found stories that held their interest. 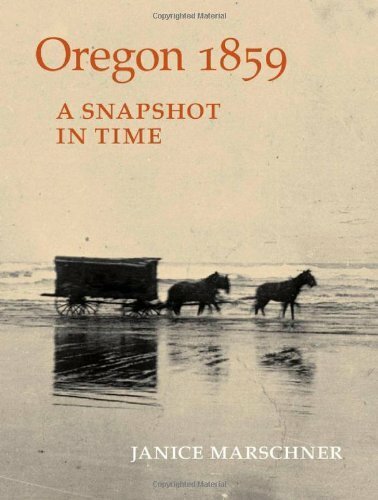 Well-written and entertaining, the author using individual's stories to show how different life was for those first Oregonians. Also a good summer read for older kids who have been studying Oregon Trail history.Really brings history to life!